Beauty How To - When to toss that old makeup. Home Beauty Buzz Beauty How To – When to toss that old makeup. Beauty How To – When to toss that old makeup. Happy New Year! I hope that everyone had a safe and happy weekend ringing in 2011. Now I don’t know about you, but doesn’t it just feel like the right time to un- clutter and purge the unnecessary along with those resolutions? Actually, if I am being honest, I no longer make resolutions because I find they only lead to disappointment later on… it’s like eating a giant donut when you are on a diet… it only leads to a bad cycle of self loathing, instead I set goals that I can work towards and rarely I am let down.. Still, all these goals seem to go with the idea of starting anew and getting rid of all the stuff that I don’t look at or need. So, I am starting with the things I use every single morning… yes, stashed in my overstuffed makeup bag lurks plenty of items that needs to make an exit. If you too are ready to rid your pretty little vanity of those old face paints, here are some guidelines as to the right time to toss your beauty loot. Smell – Most products have fragrances added whether natural or synthetic, if the product smells, sour, waxy or like chemicals it has gone past it’s due date and time to go bye bye. 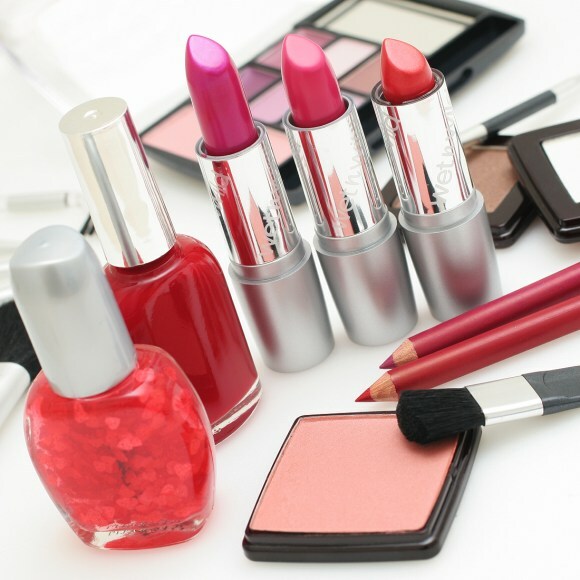 Appearance – If your makeup has changed color, faded, or separated the oils may have gone rancid, bacteria may be growing in it or it may have faded due to light exposure. Consistency – If cream or liquid products have become dry, cracked or have gotten thinner or thicker than they used to be it’s a good bet that the ingredients have gone bad…toss it asap! Cream products such as blush, cream concealer and cream shadows should be discarded after 12 months. 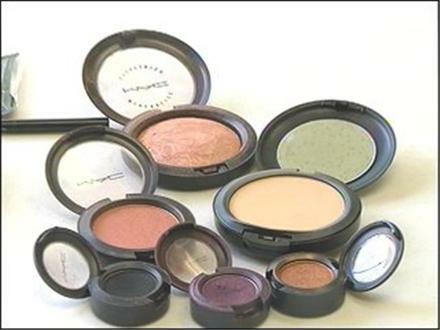 Powders – Loose and pressed setting powders, blushes, bronzers should be tossed after 12 months. Powder eye shadows when stored properly and sealed can be used for 18 months before throwing away. Other products used around the eye area are especially important to replace often. Eyeliner pencils should be replaced at least once per year and should be sharpened often and covered when not in use. Liquid and gel eyeliner should be replaced every six months as they tend to dry out faster and hold bacteria. Mascara should be replaced every three months to avoid bacterial issues around the eyes. And most important… don’t forget to wash your makeup brushes and tools regularly! 7 Easy Steps to Cleaning your Closet!